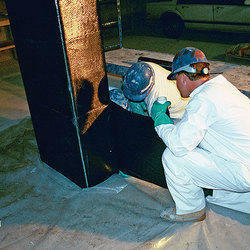 Our association is broadly known for maintaining the quality in providing Carbon Fibre Wrapping Service. We are rendering Pipe Wrapping Service to our patrons. Due to prompt completion, our offered service is extremely admired in the market. Our service meets on client’s demand. Moreover, we render this service as per patron’s demand. Unidirectional carbon or glass fibre reinforced fabrics. 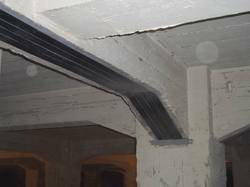 To strengthen existing RCC and masonry structures by providing additional tension / confinement elements bonded to substrate.